To export a particular item from a list, please choose “Export to Pdf” item in the item’s Edit Control Block (ECB). When on a Wiki page you can use the “Save as PDF” option on menu tab to export the pages to the PDF file format. Create PDF Template - Select ‘Site Action’ and select ‘All Items’. Select the create option and from available list of items, select PDF Template option. Enter template name and press create button. Load XML template -Once the template has been created, we need to load the XML file that we created in step-1. On PDF template page, please select ‘Add new item’. Specify source file path - On document upload dialog, press browse button and locate the XML file stored over your system. You may enable the check box to overwrite existing file option. Press the OK button. Specify file properties - Once the file is loaded, you need to add information in fields marked as mandatory (*). Export to PDF - Once the XML file is added to PDF template, right click test.xml file and from context menu, select Export to PDF. You may also consider selecting ‘Aspose Tools’ menu option from Library Tools and press Export to PDF button. Save PDF document - On Export to PDF dialog, select Template storage (the location where source file is stored) and select the file you need to export from the drop down menu. Now press ‘Export to PDF’ button to save the final PDF document. 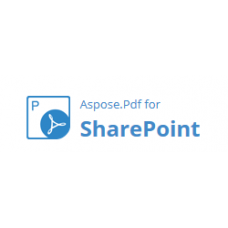 Aspose.Pdf for SharePoint is an add-in that allows users to export lists, items (within the lists) and SharePoint Wiki pages from your SharePoint library to a PDF file. 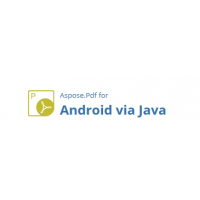 To generate documents, Aspose.Pdf for SharePoint relies on a built-in version of Aspose.Pdf for .NET. Aspose.Pdf for SharePoint requires no additional system requirements besides the ones which exist for Microsoft SharePoint Server. Convert SharePoint content to PDF files.